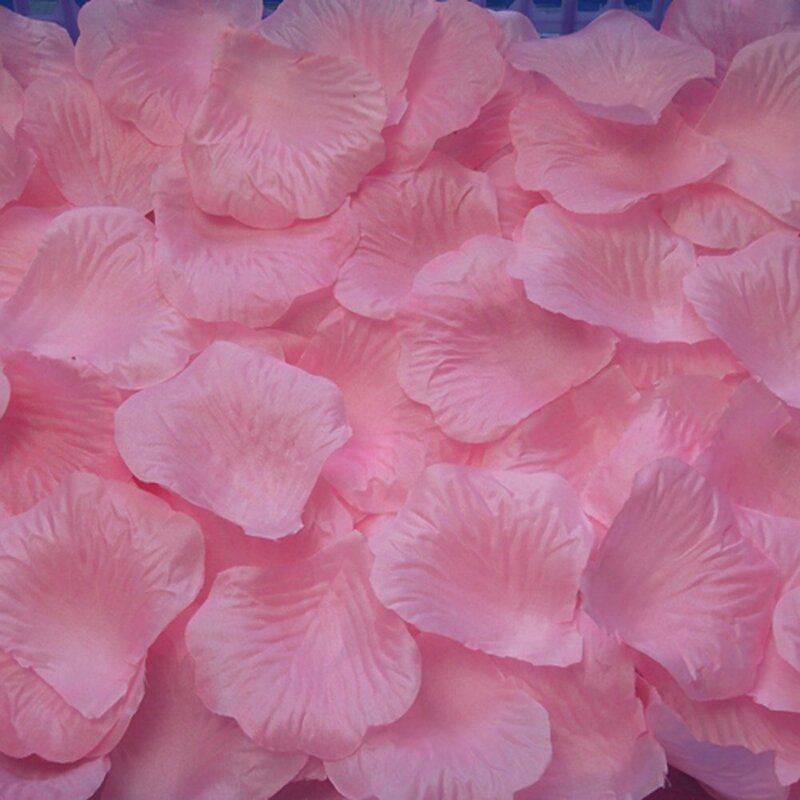 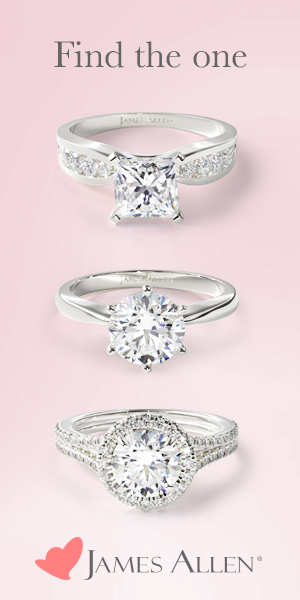 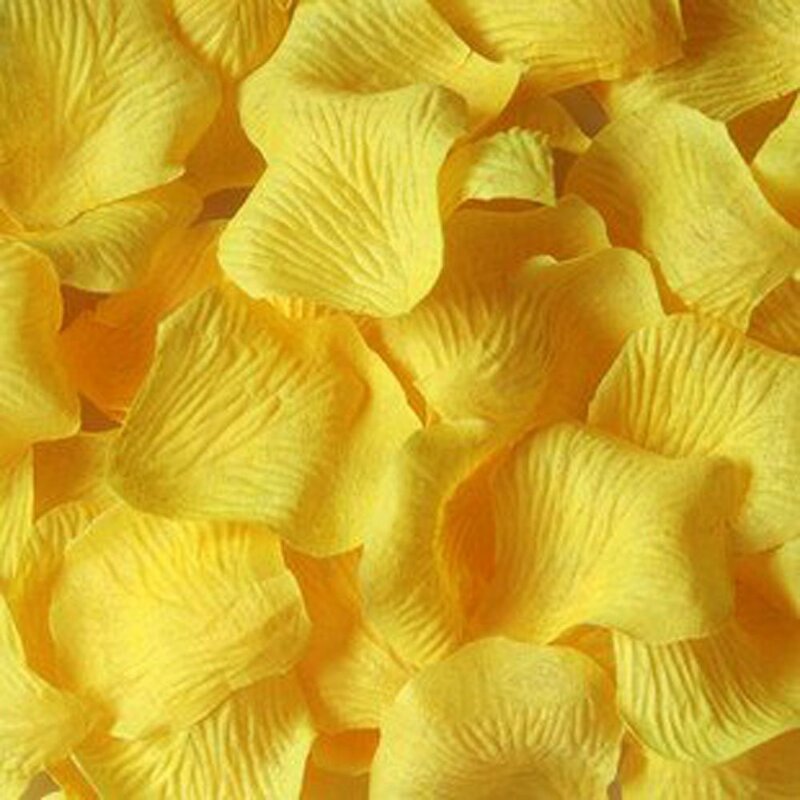 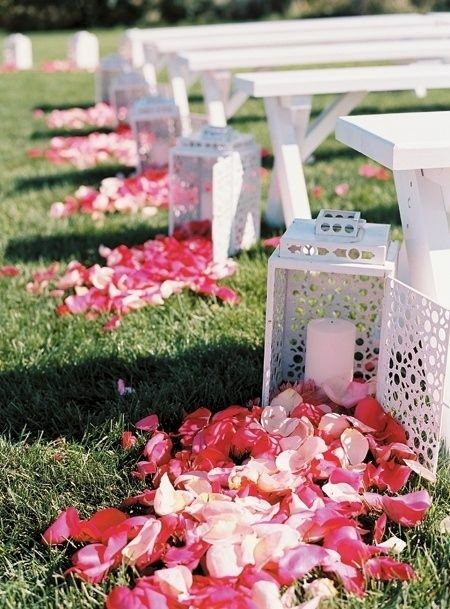 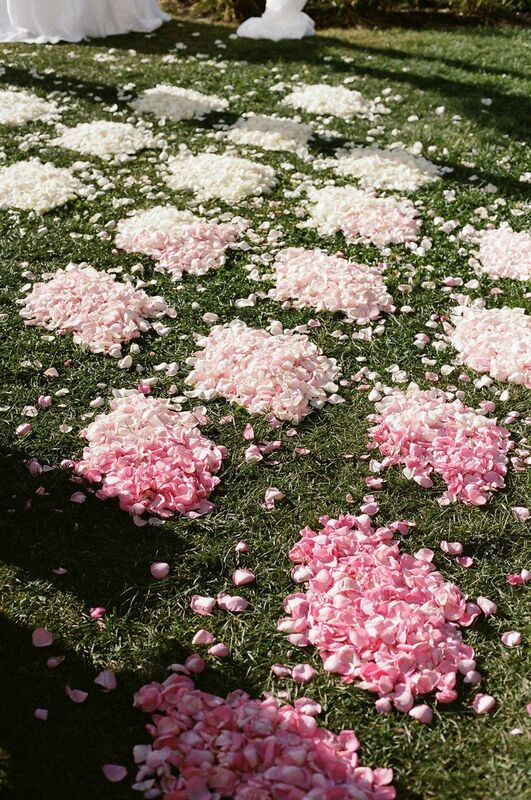 What can be more romantic than a scattering of flower petals? 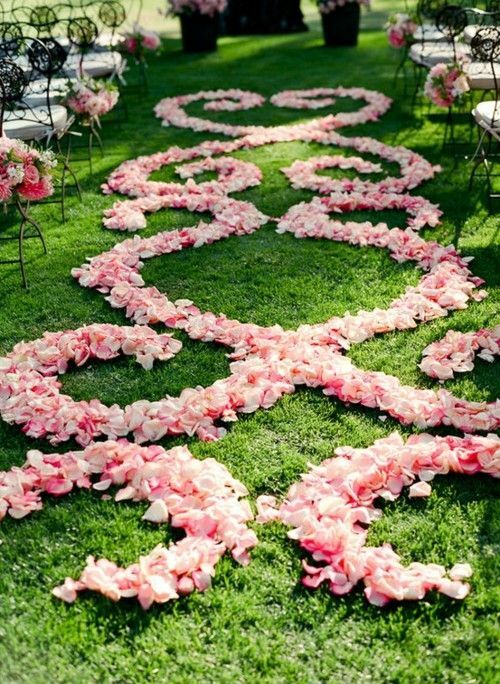 We know this element of décor from the most popular and beloved melodramas where gents made the tracks of rose petals, beds decorated with them in the shape of a heart, etc. 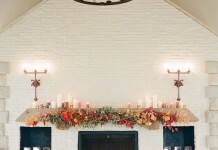 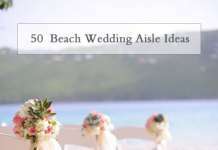 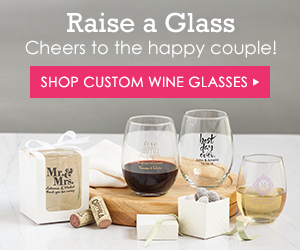 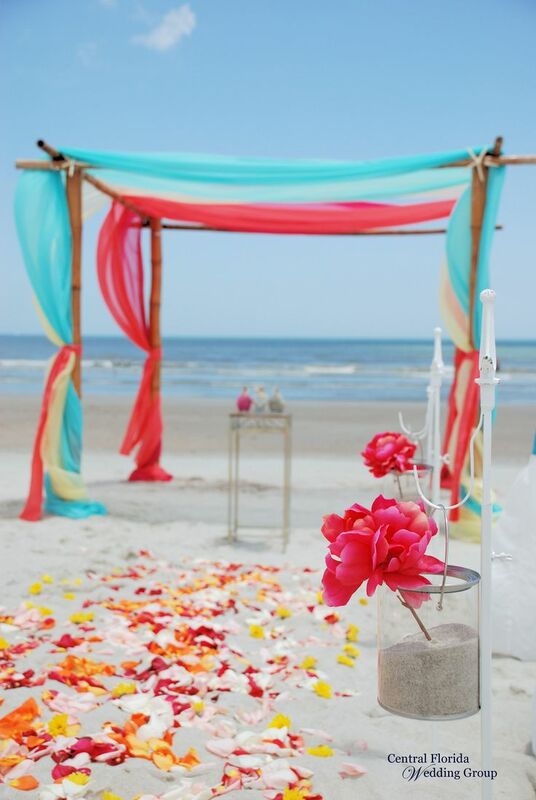 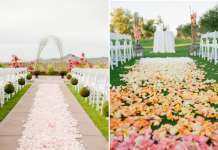 It soon became a trend and right now it’s a favorite example of wedding ceremony décor. 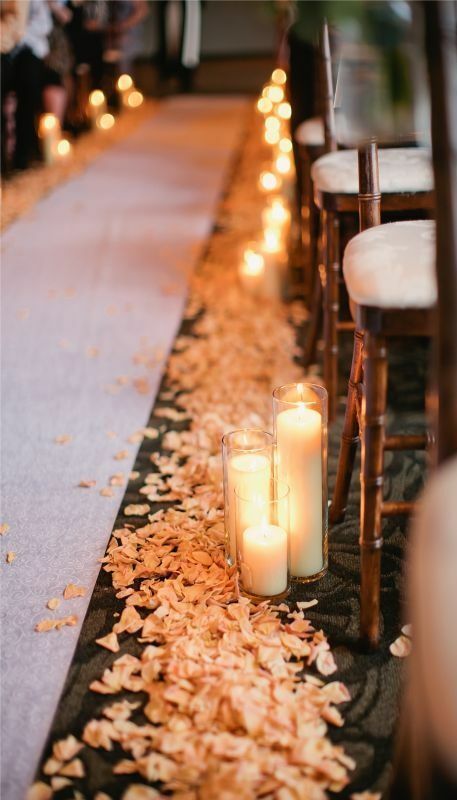 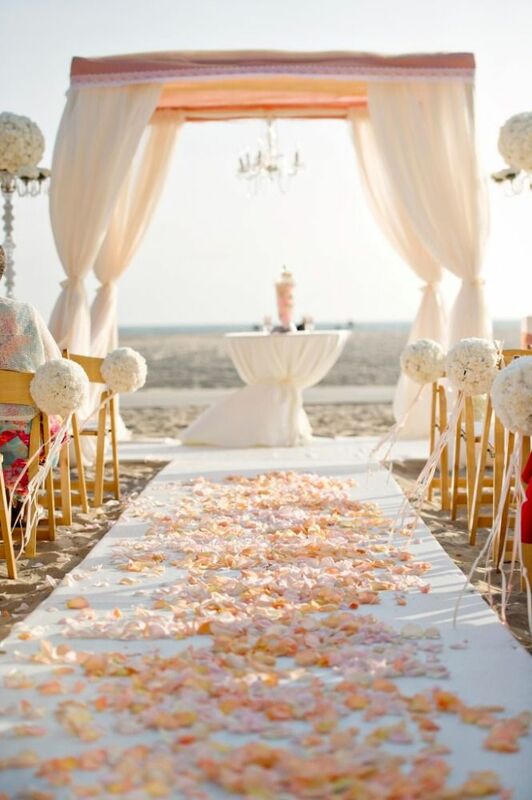 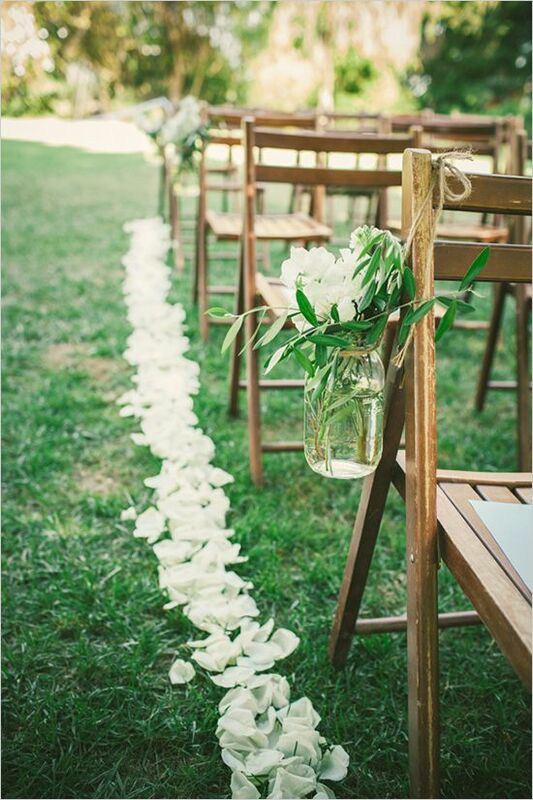 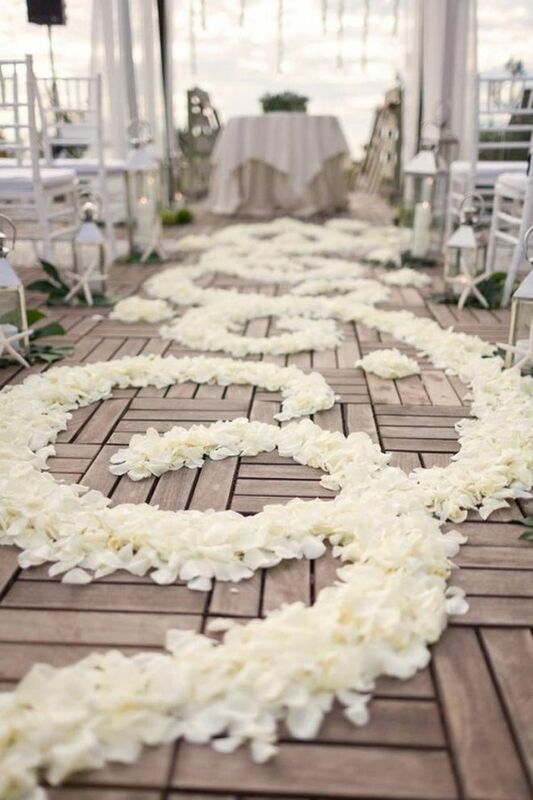 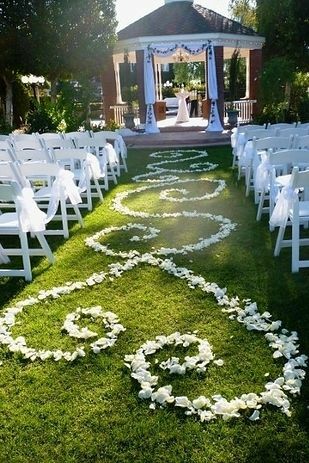 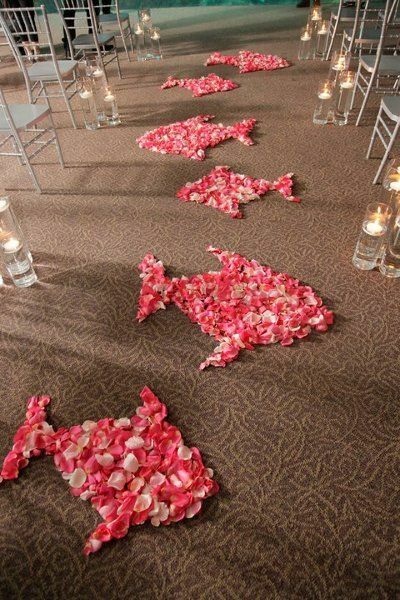 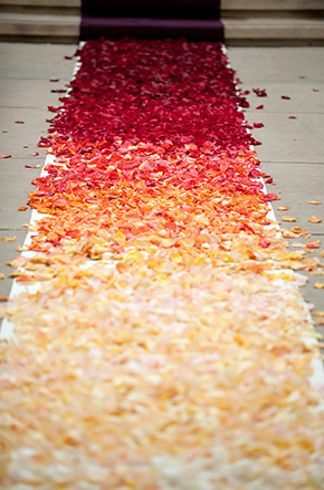 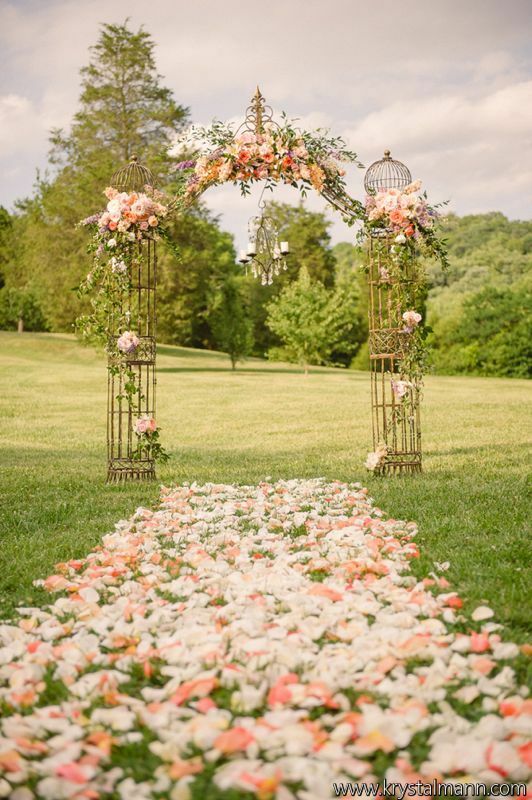 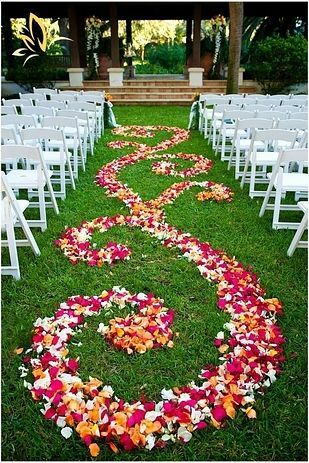 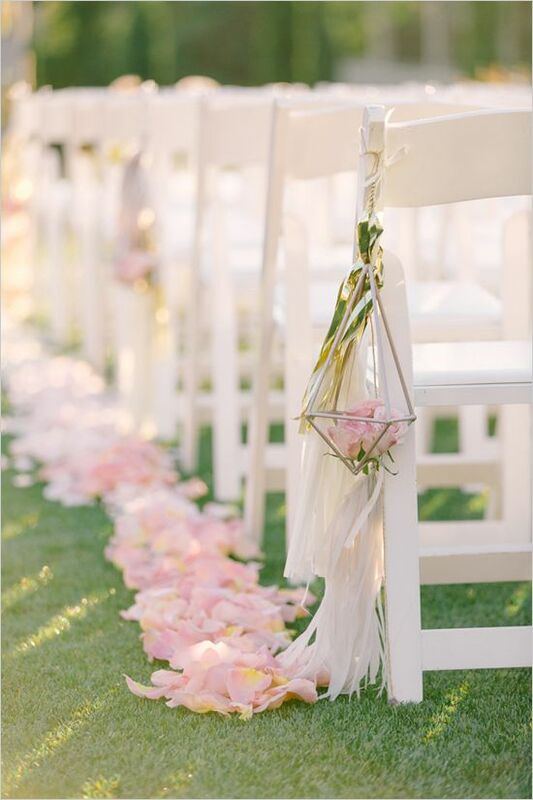 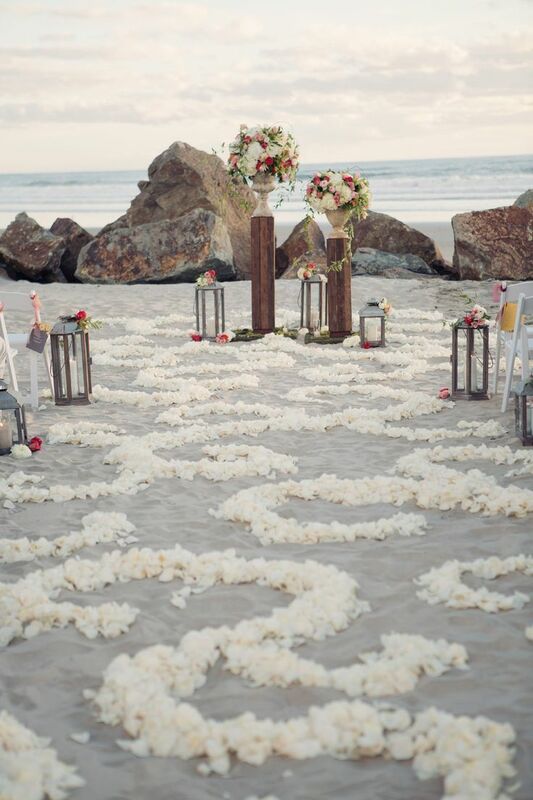 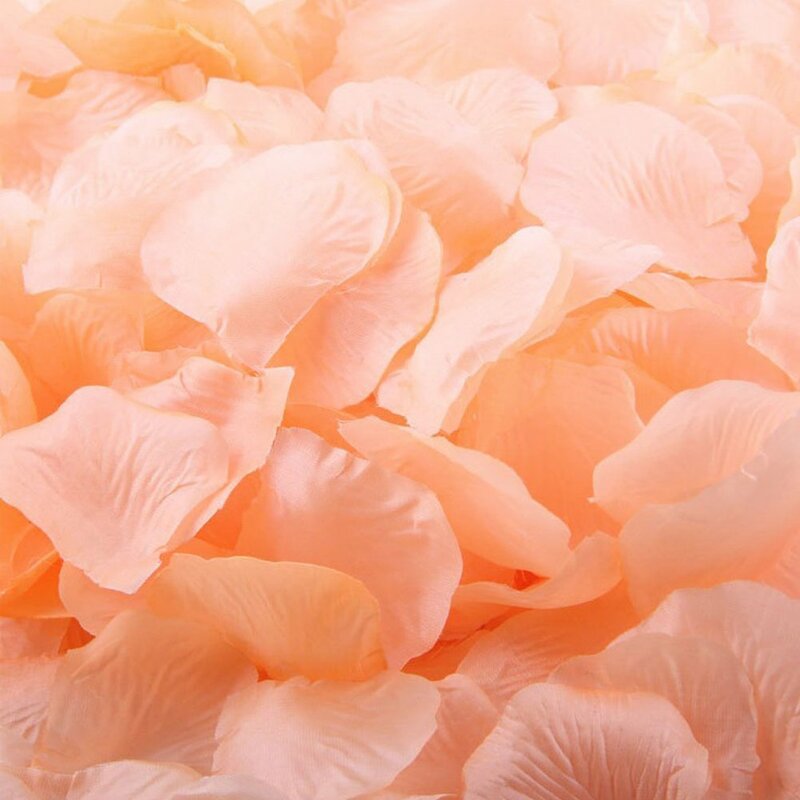 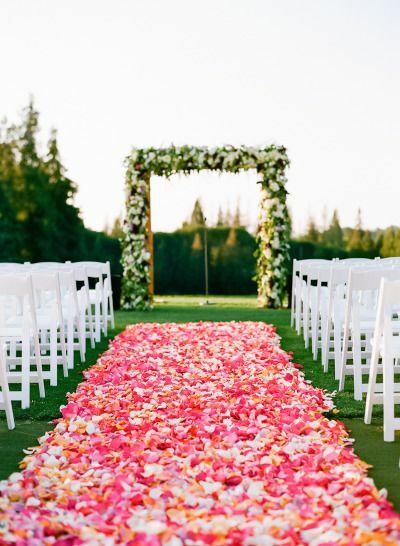 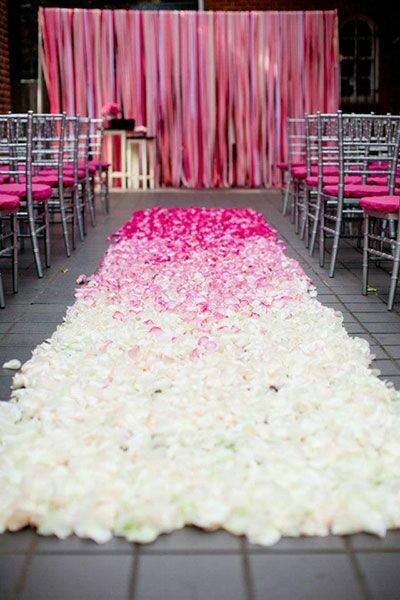 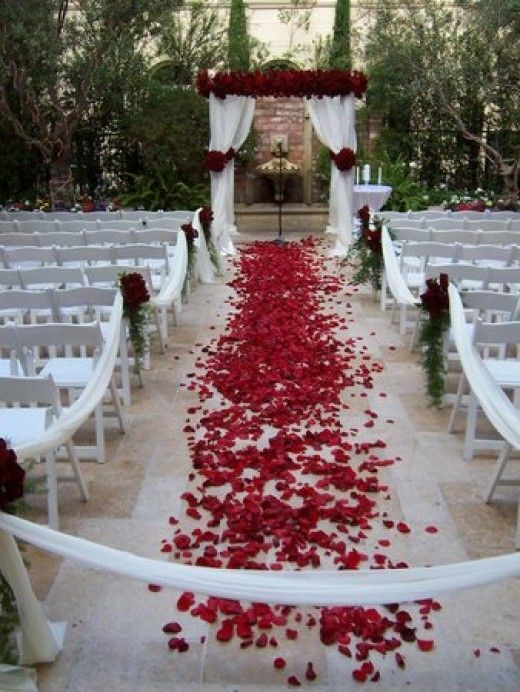 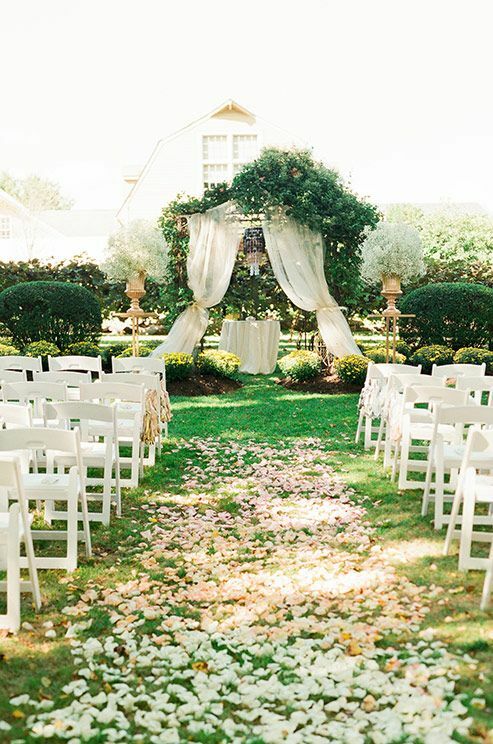 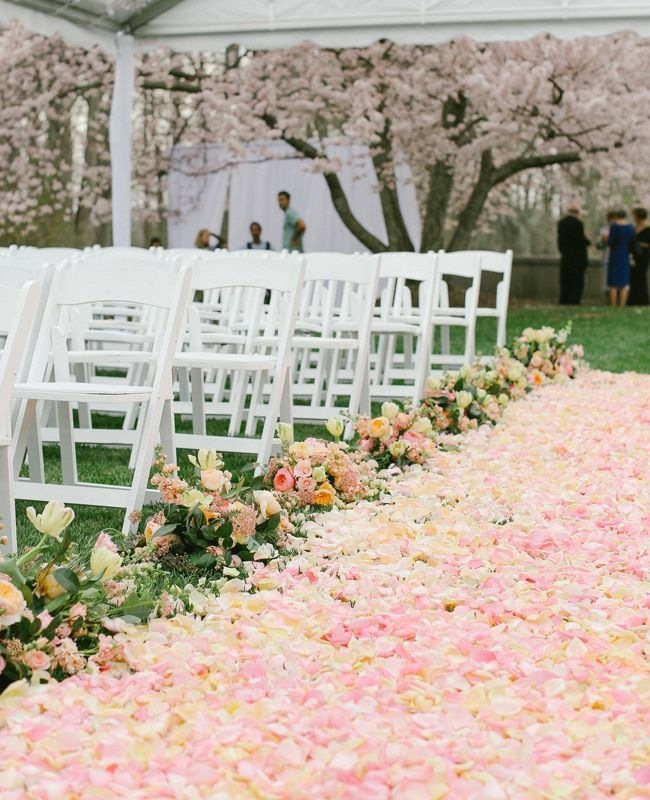 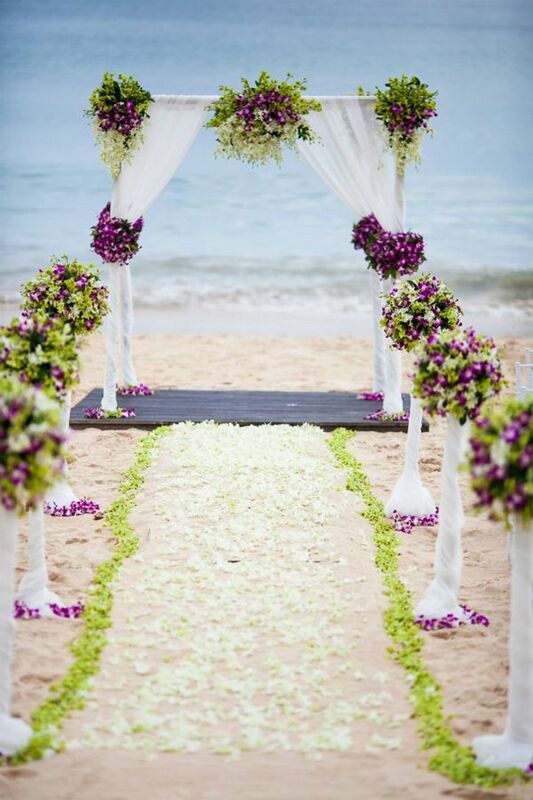 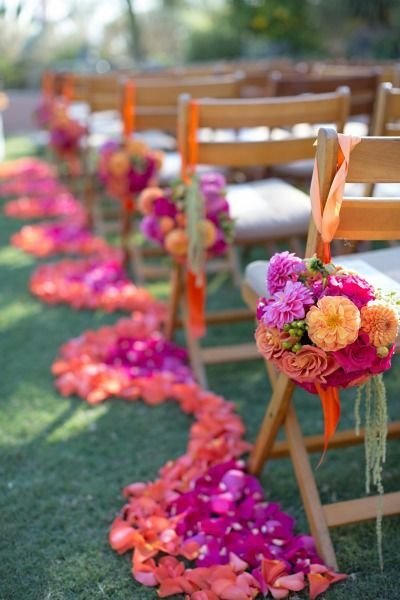 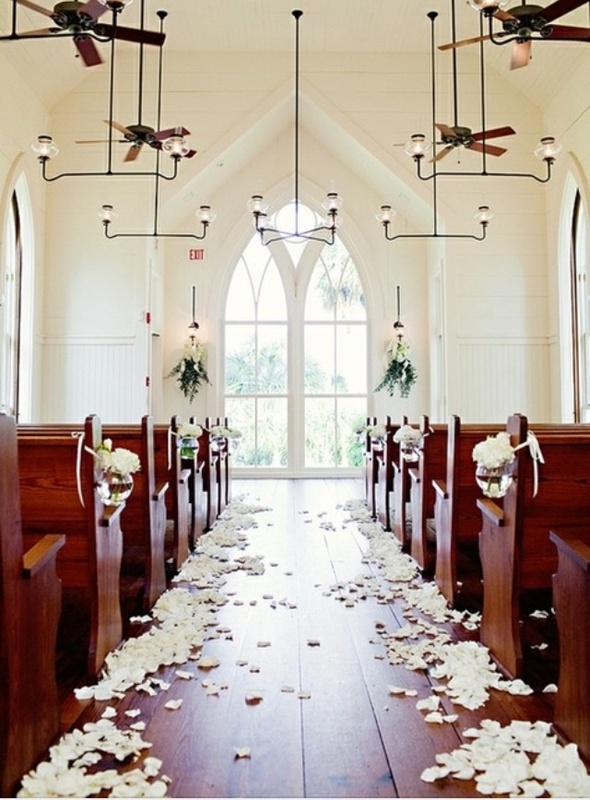 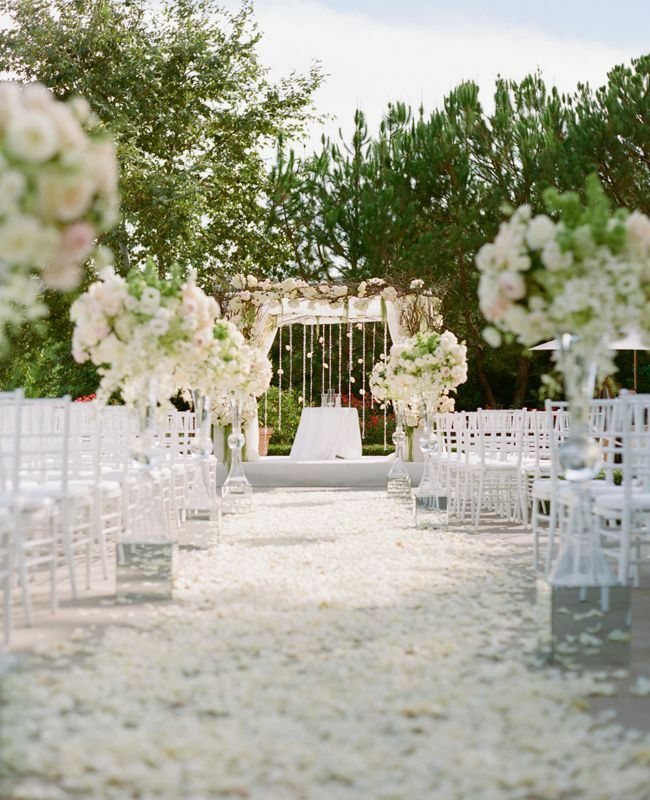 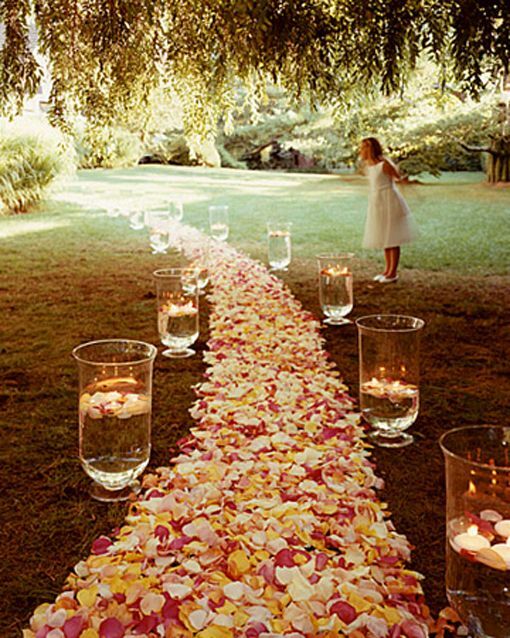 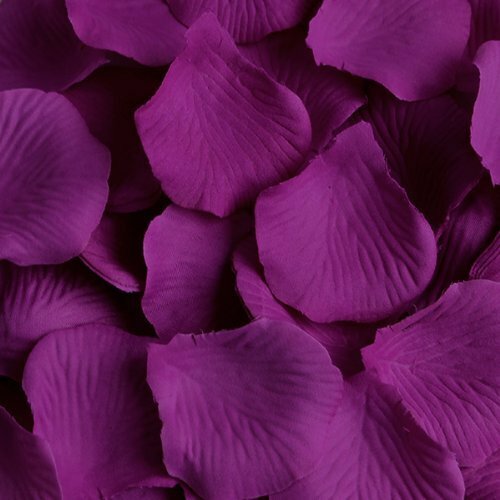 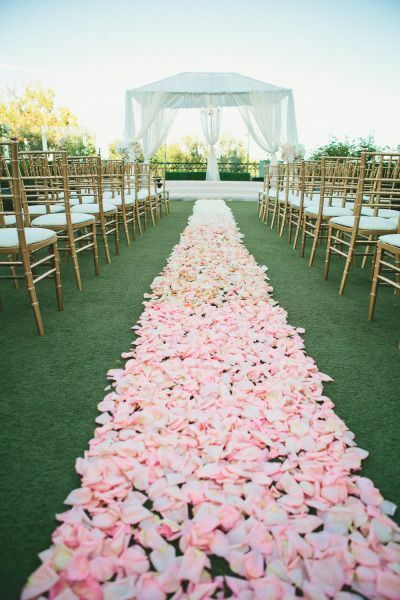 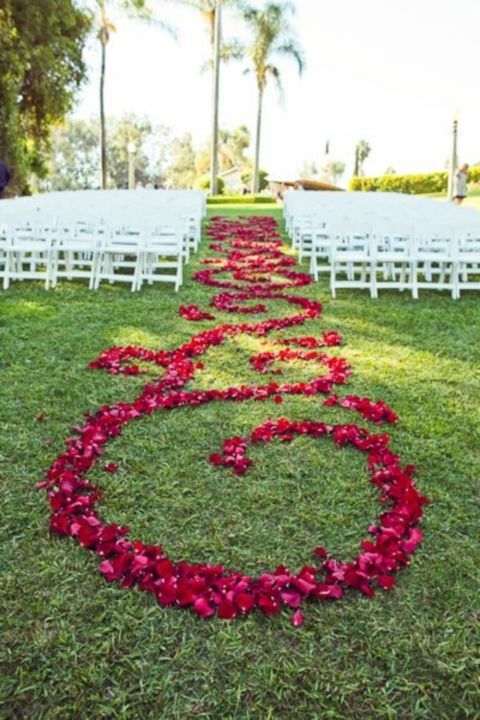 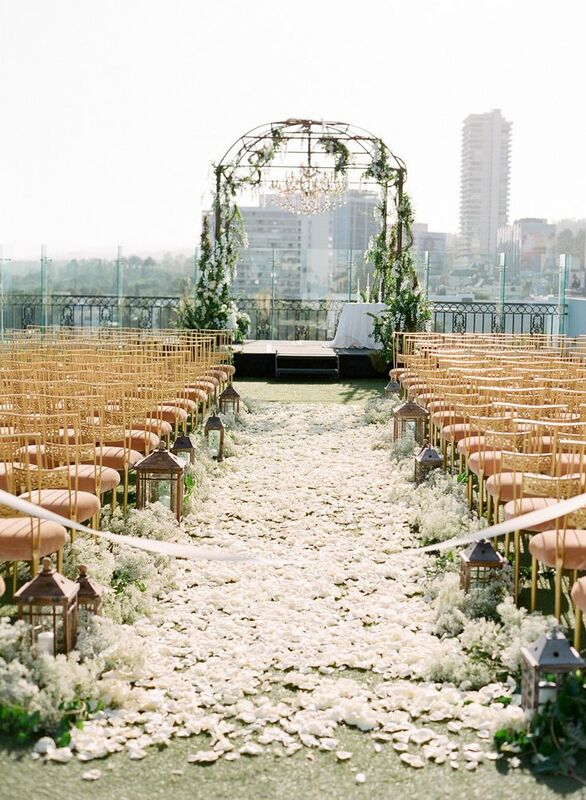 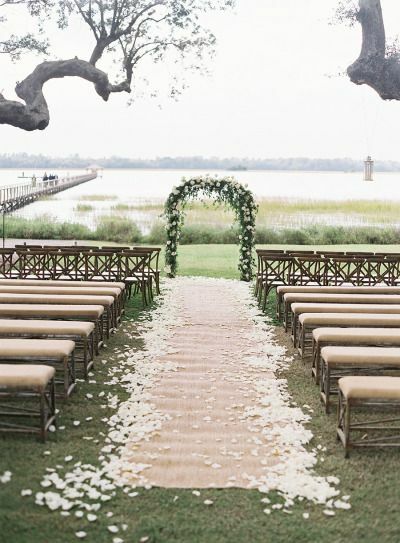 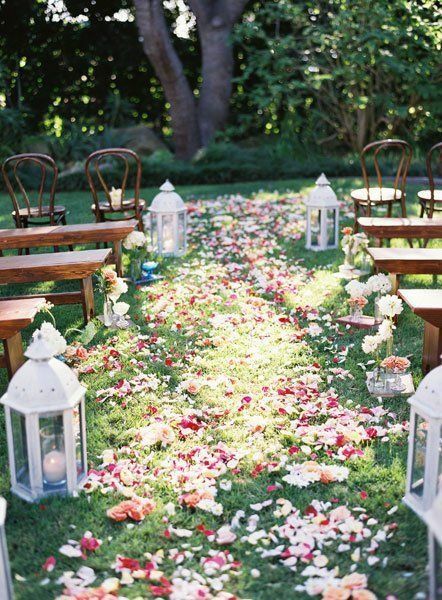 They are sometimes called ‘petal carpets‘ and for a good reason: your walk down the aisle has never looked better! 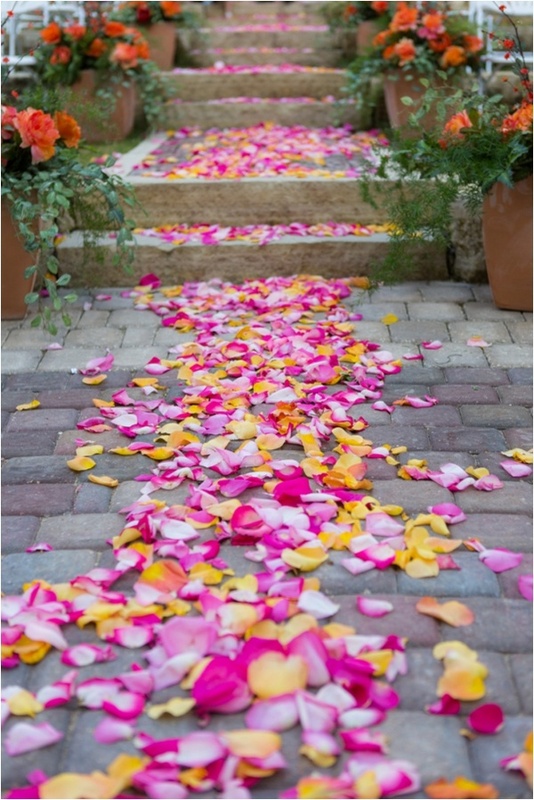 But you may not limit yourself a simple track of petals and choose some interesting and ornate design. 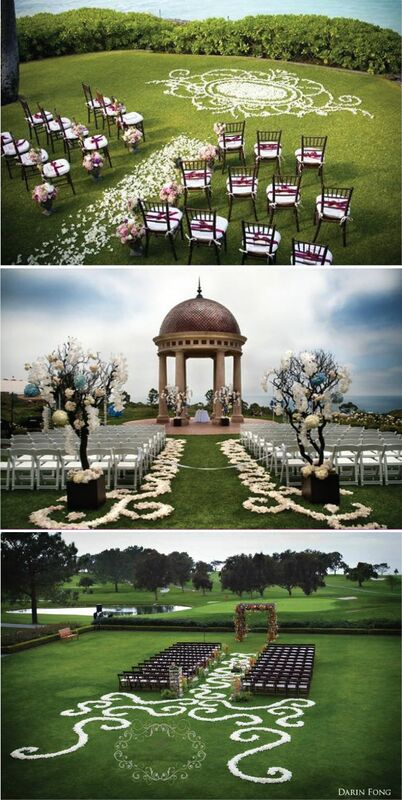 Have a look at the photos below and see how it might look like.